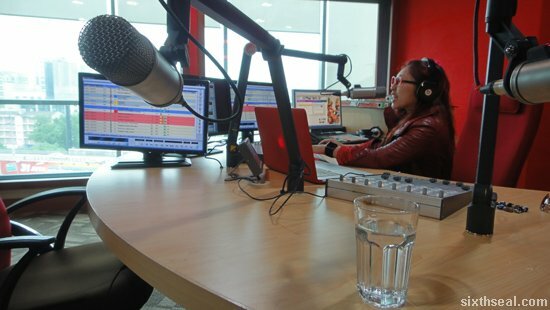 I was at the Red FM studio this afternoon for an interview session with Linora. 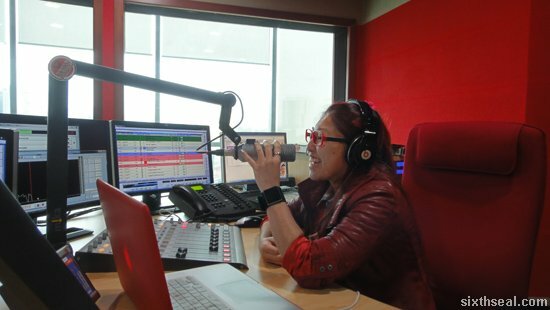 She was doing the 2 pm slot and I was intrigued by everything inside. It was a very interesting experience to see how she does things on her show. 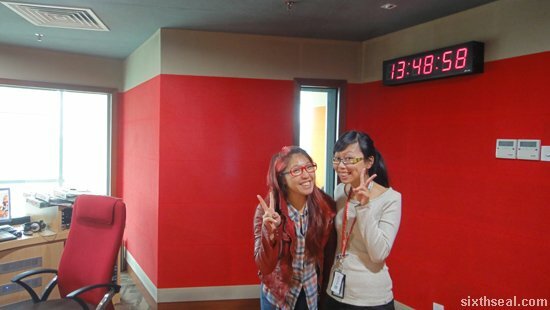 I first met up with Pei Yi in Starbucks who tagged me into the Red FM studio. 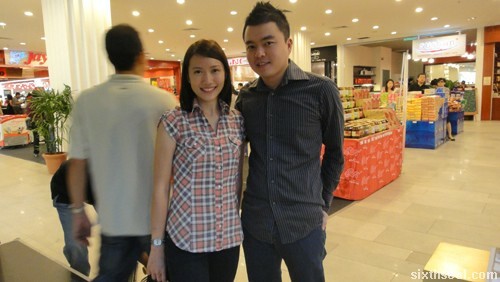 I didn’t know what to expect but Linora turned out to be a really nice person that really made me feel at ease. 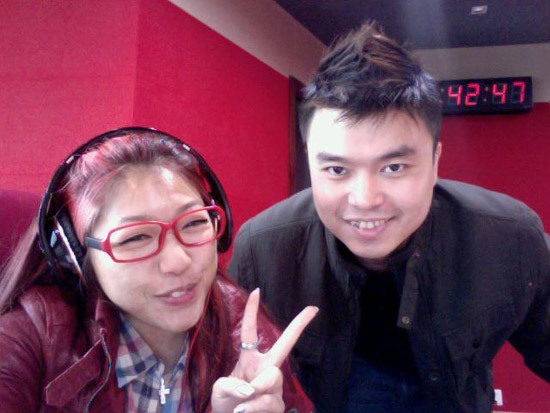 Notice that they’re using beats by Dr Dre as the studio headphones. 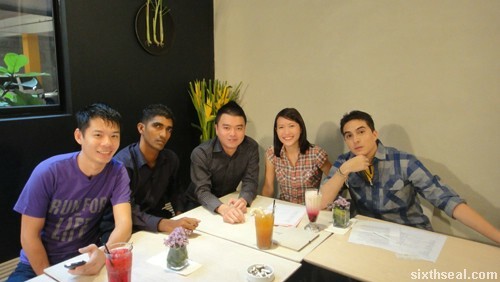 I had an encounter with them a while ago. Heh. I somehow got this idea in my head that I could choose songs to play, but obviously that didn’t happen. I *did* get to intro a couple of songs though, including one where I made a stupid (but hilarious) comment while doing it. I think it sums me up perfectly. Love the lyrics. And it’s NOFX, hands down my favorite band. 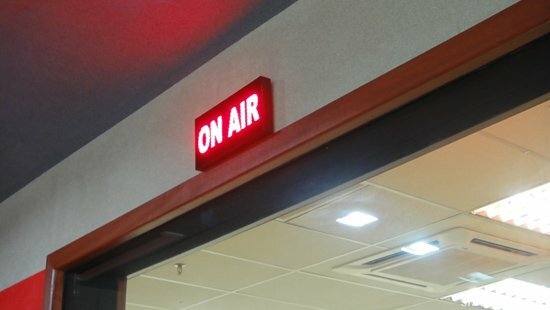 I said something on air about blogging – “It’s an immortality of sorts”…and went on about wanting my (as yet unborn) children knowing who I am. 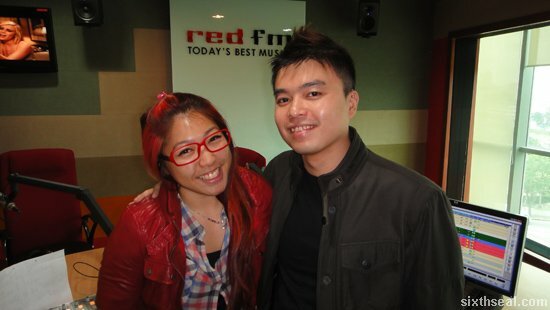 Picture nicked from Linora while she was updating the Red FM Facebook. The session went very well. I had a lot of fun. Anyway, she was asking me about my blog Facebook page and I said I didn’t have one. It got me thinking and I started to create one when I came back just now before I realized that Aud actually did it for me ages ago. I thought she forgot. …so if you want, join the coolest Facebook blog page – sixthseal.com on Facebook – it has 2 Likes to date (one of them mine). 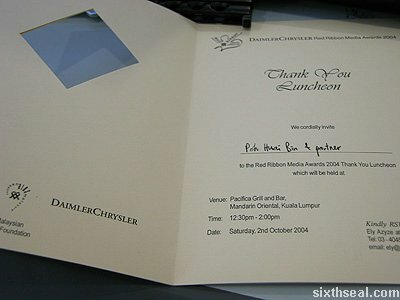 Hell, I just liked it myself a couple of hours ago coz I never even knew it existed. Heh. 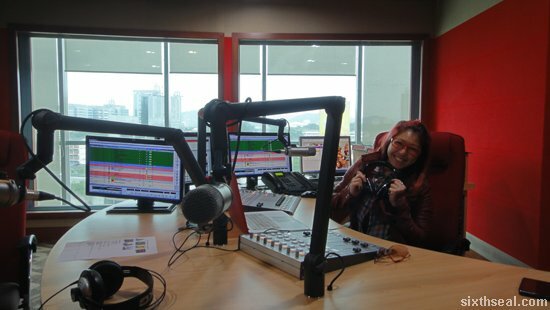 Thanks for having me Linora! 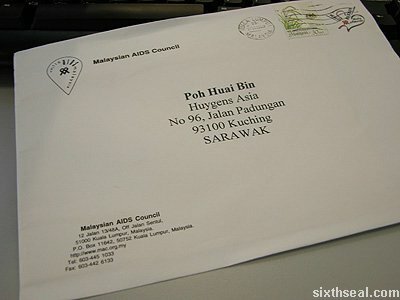 I got a letter today from the Malaysian AIDS Council (MAC). 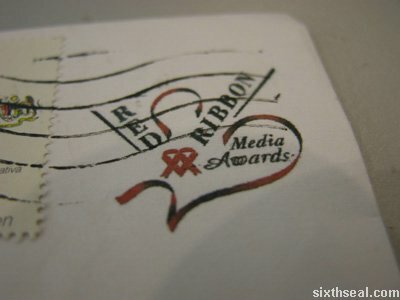 It has the Red Ribbon Media Awards logo in the upper right corner of the envelope so I knew it was about the RRMA Media Awards [sixthseal.com], where I was nominated for the Main Award Winner for the Non-Traditional Category – Blogs category. 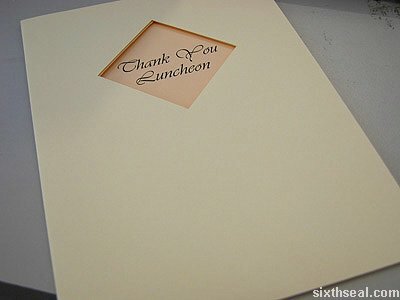 There was a card inside with a see through window cut into the cardboard with the words “Thank You Luncheon”.